Commander Mick Rainey completed Basic Observer training in 1995, having transferred to the RAN after six years as an Air Force Officer. He completed AS-350 Flight Observer training in 1996 and served in HMA Ships Newcastle and Sydney before being selected to instruct at 723 Squadron. From 1998-2004 Mick instructed at 723 Squadron (twice) on Squirrel and Kiowa helicopters, and the School of Air Navigation (B200 Kingair). During this period he was awarded Maritime Commander and Air Force Training Commander Commendations and completed the Helicopter Warfare Instructor and Qualified Helicopter Tactics Instructor Courses in the United Kingdom. Mick flew in Seasprite helicopters from 2004-2008, serving with 805 Squadron (SH-2G(A)) from 2004-2006, initially in the Operations Cell, then as a simulator instructor before finishing as Squadron Operations Officer. Mick was then loan posted to the Royal New Zealand Navy, serving as Flight Commander HMNZS Te Kaha (SH-2G(NZ)), Tacco Instructor at 6 Squadron RNZAF and briefly in HMNZS Te Mana in the Middle East. Highlights of his time in New Zealand included involvement in the RNZN’s first helicopter Maverick missile firing and being part of Te Kaha’s Maori Cultural Group, Ngaru Kaha. Mick returned to Australia in 2009 to be the Aviation desk officer in The Directorate of Naval Officers’ Postings. 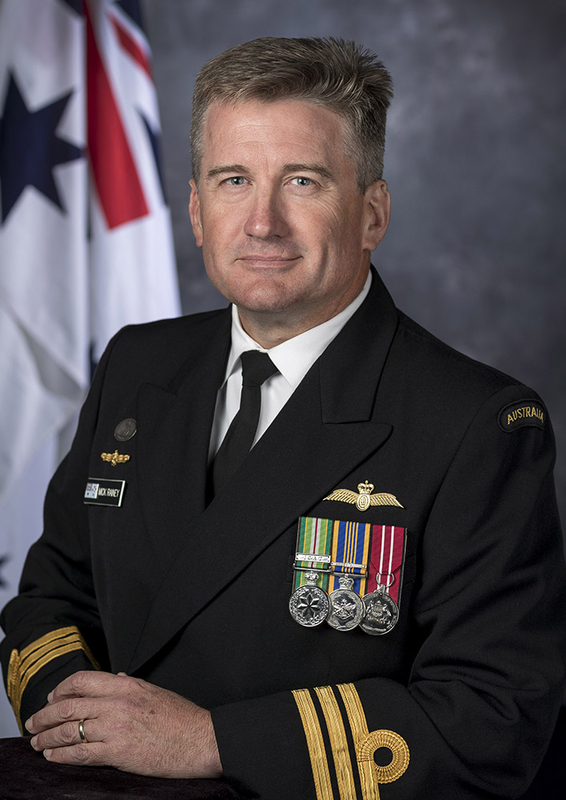 He completed Australian Command and Staff Course in 2011 and was posted to the Office of Chief of Navy as the Personal Staff Officer to Deputy Chief of Navy. Mick was promoted to Commander and posted into the MH-60R Seahawk Romeo Project Office in 2014, where he served as MH-60R Project Manager and SEA 129-5 (Maritime Tactical Unmanned Aircraft Systems) Deputy Project Manager, until his posting as Officer in Charge of the Navy Unmanned Aircraft Systems Unit in January 2018. Mick’s education includes Bachelor of Arts (English Literature), Master of Arts (Strategy and Policy), Master of Maritime Studies and an Executive Masters of Business (Complex Project Management). He is a graduate of the Australian Defence Force Academy and Australian Command and Staff College, a Graduate member of Australian Institute of Company Directors and is a not-for-profit board member. Commander Rainey is Commading Officer of 822X Squadron, which commissioned on 25 October 2018.